When someone wants to use one of your photos, you don’t need a number pulled out of a hat, you need help to get paid fairly for your work. 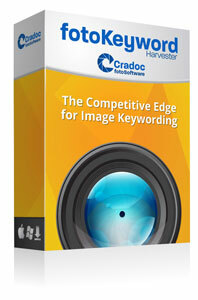 You need fotoQuote®, the industry standard stock and assignment photo price guide. The fotoQuote photo pricing guide is the only source of photo pricing information for photographers that includes powerful coaching help for every category. The fotoQuote price guide not only helps you come up with a fair price for your image license, but it also gives you the negotiation information you need to help you close the sale. Numbers by themselves don’t mean anything if you can’t convince your client that your image is worth what you are asking. New markets are constantly being created for stock and assignment photographers and fotoQuote helps you take advantage of these opportunities with over 300 categories, including information for video stock footage categories. Video, shot specifically for a client or for stock clips, is a market trend that is growing quickly and is here to stay. Photographers who have traditionally shot stills are now being asked for video. Often the need for video is simple, and does not require a full production expense. The fotoQuote pricing guide includes information on how to get started to help you transition to video and add this service as an option for your existing clients. There is also a video pre-production worksheet that you can print. FotoQuote has over 300 photo pricing categories! Every category has a Usage Tip to help with your negotiations. All categories can be easily chosen from the main screen. There are also over 30 dedicated web categories. This is a fast-growing segment in the industry. To keep fotoQuote photography price guide current we spent a year looking at every source of photo pricing that we could find. We spent a lot of time contacting photographers, going through the pile of notes and feedback from our customers, and scouring web sites and forums to see what kind of problems photographers were having with pricing, and what kind of solutions were being suggested to solve them. 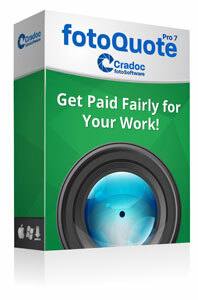 This resulted in our latest release, fotoQuote Pro 7. In fotoQuote you can feel confident you are getting a guide to the most current photo pricing information available anywhere! There are 38 Assignment Coach topics, including helpful tips on how to break into the video market. The Stock and Rights Granted Coach topics have been updated and new topics added; including new information on the current issues with the publishing industry, especially the textbook segment. A SUPER streamlined interface makes this the easiest to use fotoQuote photo price guide ever. You can also resize the window. All of fotoQuote’s Usage Tips are now visible on the main fotoQuote screen as you click new categories, so you can quickly decide if you have the category that matches your request. 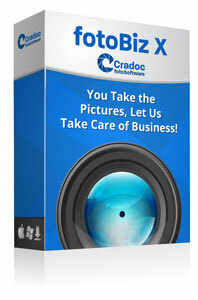 All the categories are easily selected from a list on the main stock photography pricing screen. You can select Geographic Pricing Factors from the main screen that define the geographic area of your license. Also select Value Added Factors and adjust the prices accordingly. The Quote Packs are groupings of rights packages that give you the ability to bundle different types of license usages together when licensing a rights-managed image for advertising or promotional use. These Quote Packs give your client greater flexibility in how they wish to use the image(s) they license from you. They are afforded the freedom and convenience of using the image in a variety of ways as described in the Quote Pack, without having to come back to you to renegotiate for every use and at the same time you protect your copyright and control of your images. The whole process of creating a quote has been simplified, and you can now include a thumbnail of each image on the quote. The RightsWriter now creates a license description for each image. Previously your license applied to all images in the quote. This is no longer practical in many situations because of the varied way in which images are being used. There is dual tax ability for users in Canada, Europe and other areas with double tax needs. There is also a field to enter a discount amount or additional charges to the Quote, such as shipping, CD burning, special handling, etc. You can also select an international currency when you create a new quote, and all items added to the quote will be converted to the selected currency. 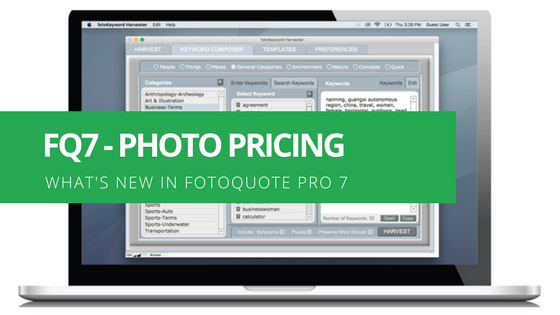 Everything you need for pricing and negotiating is at your fingertips with the fotoQuote photography price guide. FotoQuote’s Stock Coach helps you with negotiating your sales, and every one of fotoQuote’s categories has a Usage Tips section full of information about the specific category you are negotiating. There is also a Rights Granted section. In the fotoQuote Assignment Coach you get information shared by other photographers about assignment rates in large and small markets throughout the US. With the new and updated Coach categories the Assignment Coach is so full of information that it’s like having a photo pricing seminar built into the program. You also get negotiating suggestions on how to deal with clients who are requesting all rights to the images you make on your assignments.